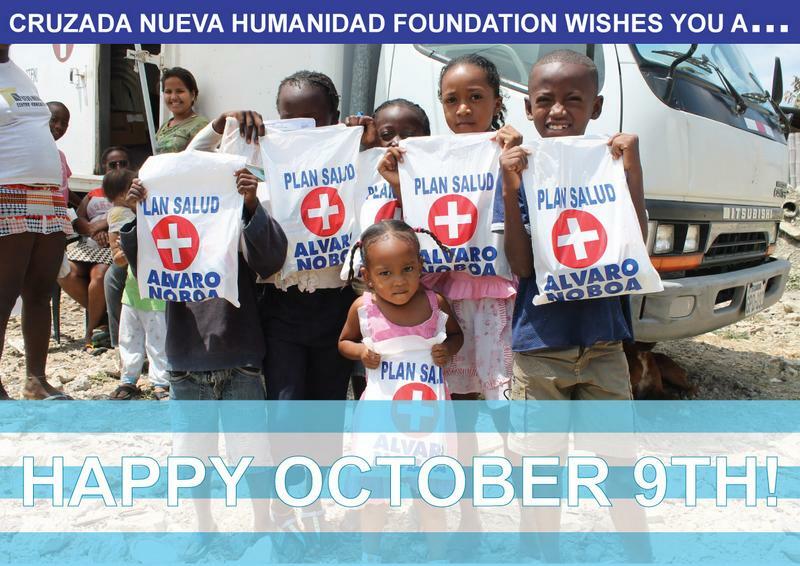 Fundación Cruzada Nueva HumanidadAlvaro Noboa and the FCNH wishes you a happy October 9th! Alvaro Noboa and the FCNH wishes you a happy October 9th! Alvaro Noboa, through his Cruzada Nueva Humanidad Foundation, wishes the entire city of Guayaquil a happy celebration of 9 de Octubre (October 9th). Alvaro Noboa also longs for all Ecuadorian homes to enjoy happiness in these important civic days.